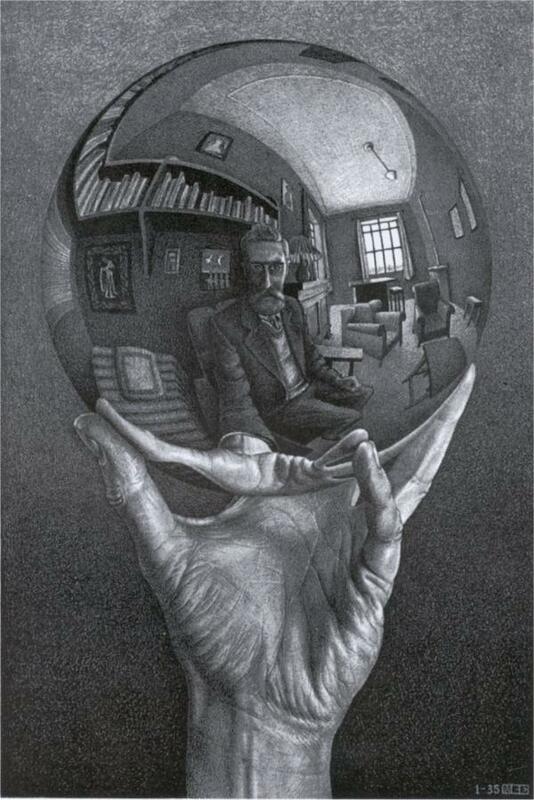 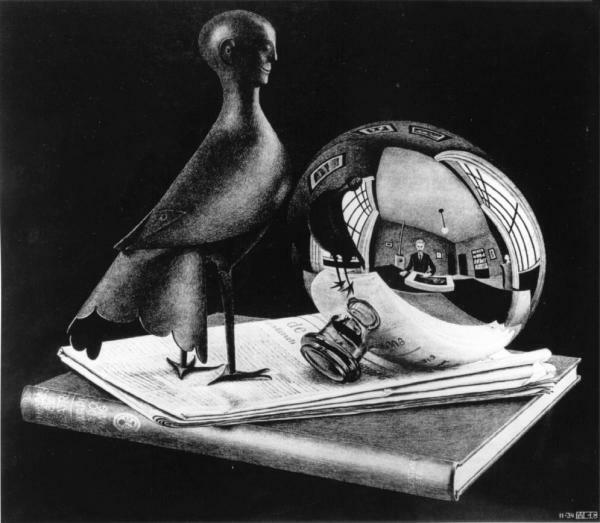 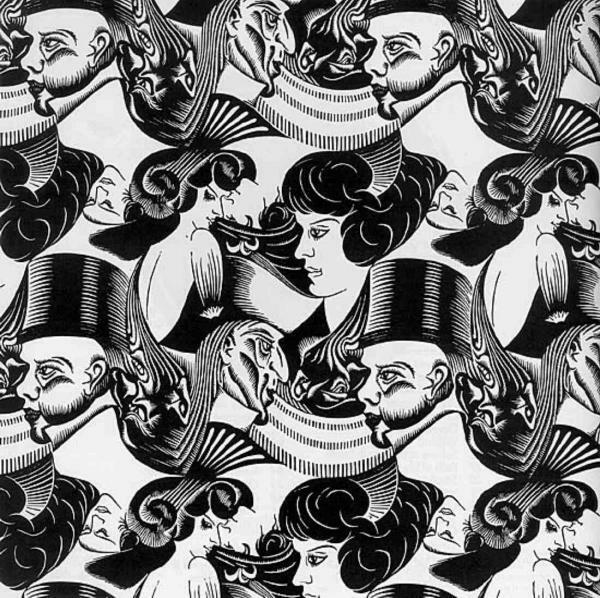 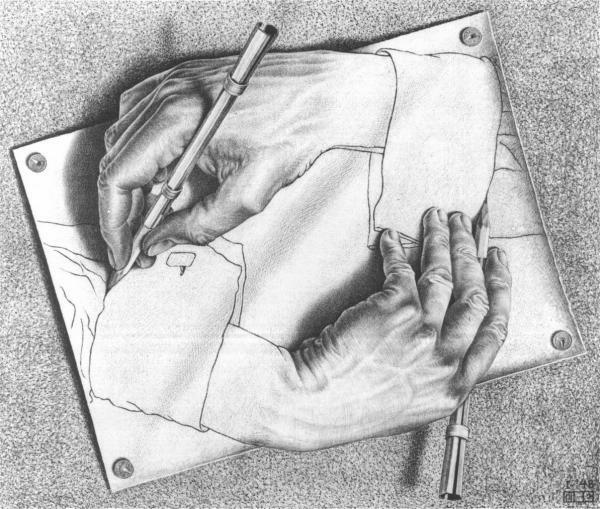 The graphic artwork by by Maurits Cornelis Escher. 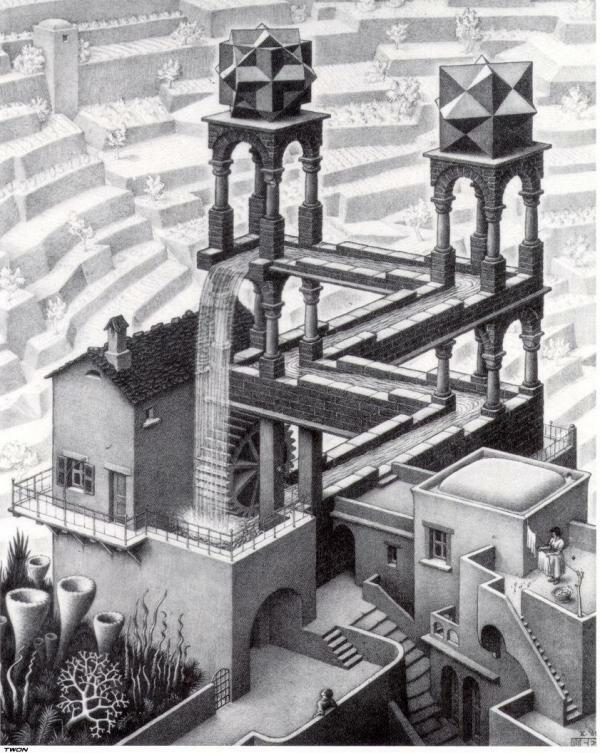 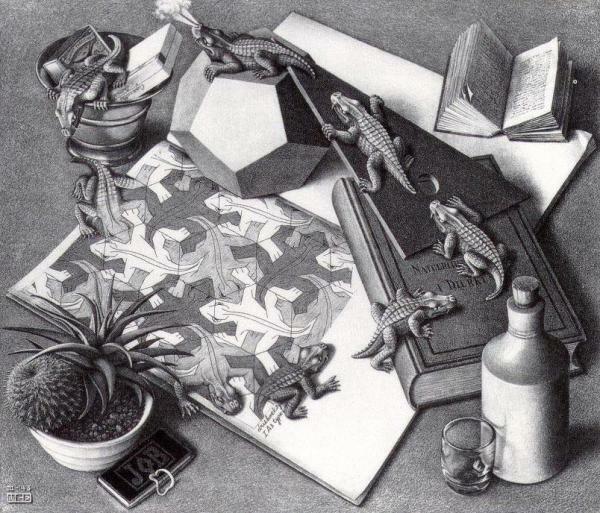 M. C. Escher, was a Dutch graphic artist. 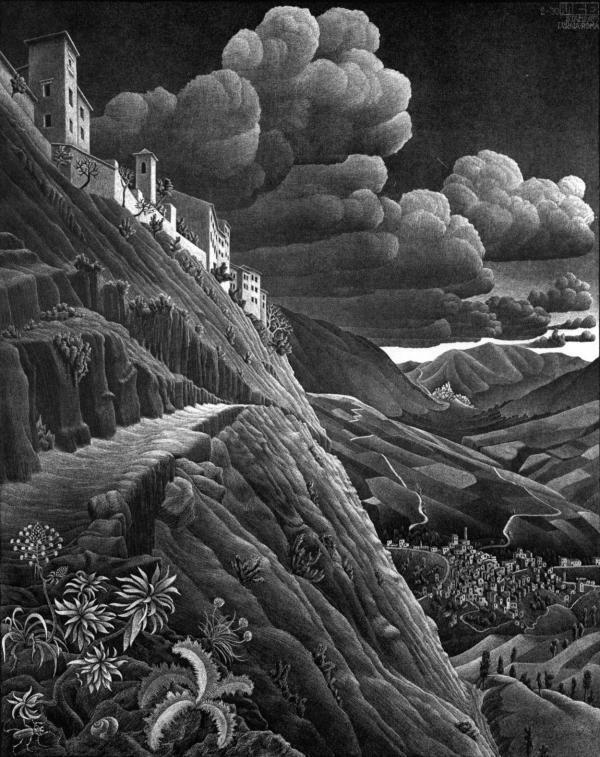 He is known for his often mathematically inspired woodcuts, lithographs, and mezzotints. 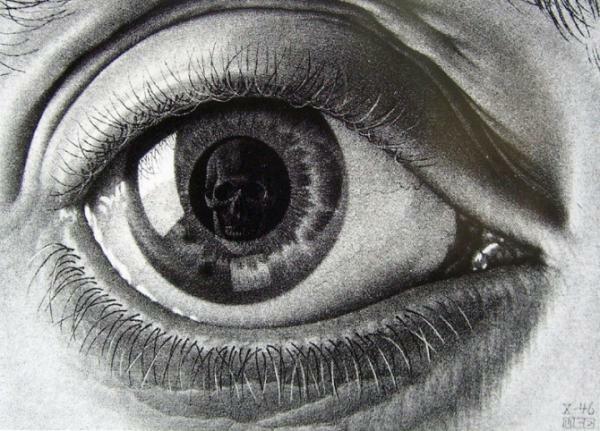 In his graphic art, he portrayed mathematical relationships among shapes, figures and space. 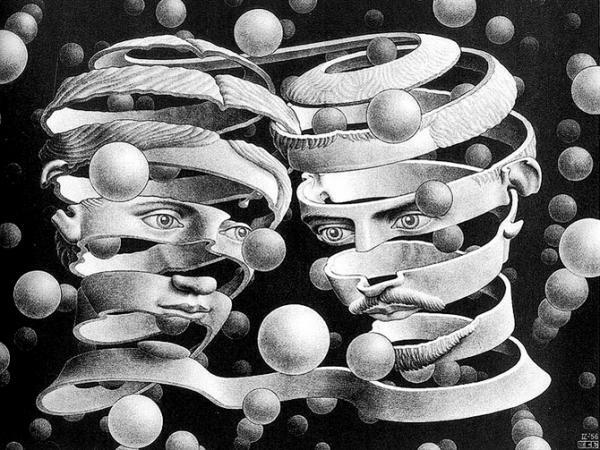 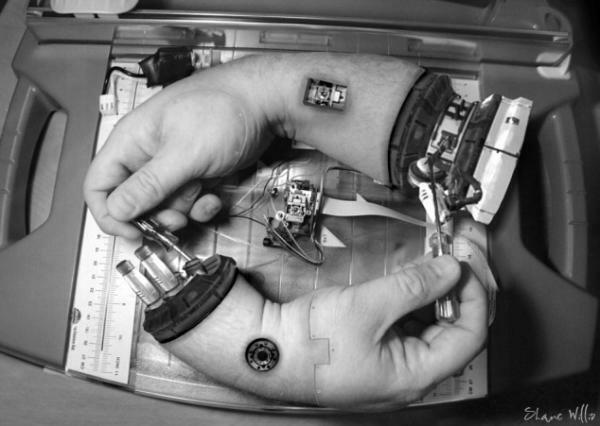 Additionally, he explored interlocking figures using black and white to enhance different dimensions. 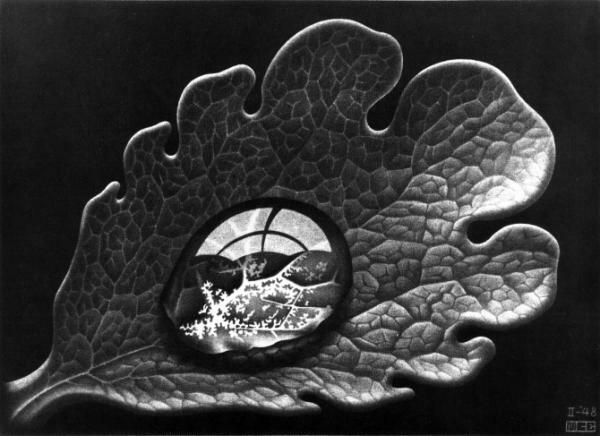 Integrated into his prints were mirror images of cones, spheres, cubes, rings and spirals.